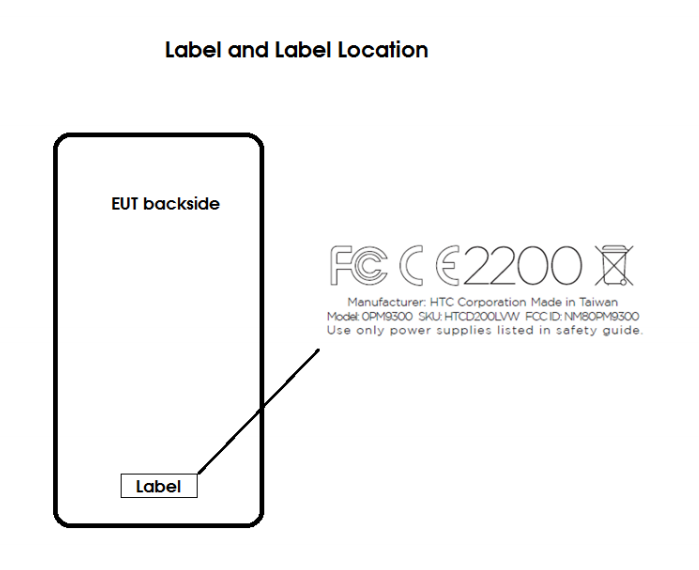 A couple of weeks ago, we noticed two new HTC smartphones that had stopped off at the FCC on their way to Verizon. Today, another revealed itself, and yes, it’s also on its way to Big Red. What Verizon and HTC are doing with three new phones is beyond me, but that is the scenario here. The newest phone to show itself is, again, a “smartphone” under FCC ID NM80PM9300. If that sounds familiar, that’s because one of the other devices dropped in as NM80PM9400. The third from a couple of weeks back was NM80PM3100, so it’s not fitting our scheme here. In this new filing, we are getting a bit more information, though, and that’s by way of a model number attached to the FCC label. That model number is HTCD200LVW (VW for Verizon Wireless). After looking at the “D200” section and also the fact that this phone doesn’t even have 802.11ac WiFi, I’d be willing to guess that this, like the other mystery phone, is a mid-ranger – maybe even a new Desire model. 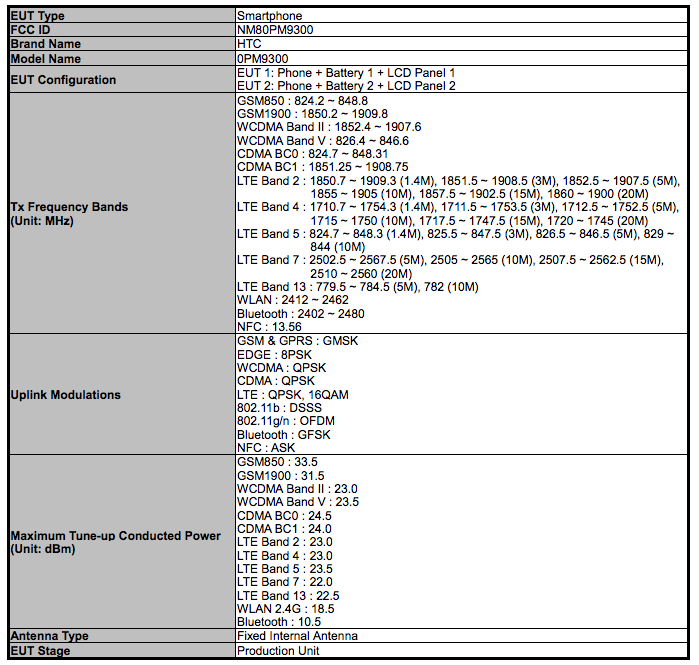 If you needed further confirmation that this is a Verizon phone, look no further than the chart below that shows all of Verizon’s bands (both CDMA and LTE) being tested. Yep, this is a Verizon phone.